Prenuptial agreements are no longer considered excessive or insulting and are becoming more common in both married and de facto relationships. 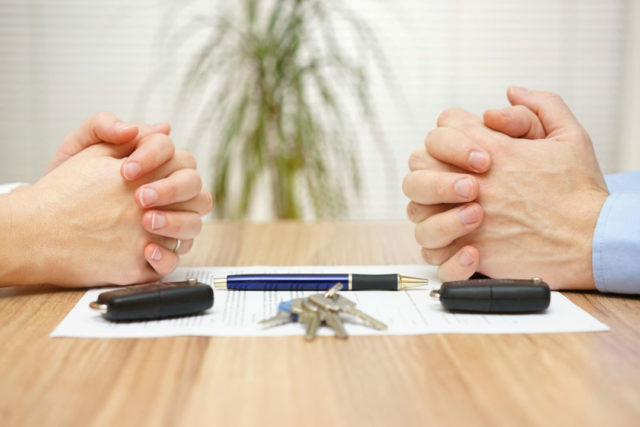 Where unfortunate realist is around 40% of all marriages in Australia end in divorce, with de facto relationships faring no better, having a prenuptial agreement (known as a Financial Agreement) in place can save time, money and heartache in the long run. When can a prenuptial agreement be made? Do prenuptials apply to de facto relationships? In Australia, prenuptial agreements are known as Financial Agreements or sometimes “BFAs” (Binding Financial Agreements) for short. A prenuptial agreement is a contract that deals with the division of individual and shared assets should the parties separate or divorce. A prenuptial agreement can be made at any time during a relationship including before, during or after the relationship has ended. This is where the service of Taylor & Scott Family Law professionals becomes important. Your prenup must comply with strict legal requirements and must include a statement signed by a lawyer confirming you have received legal advice before signing the agreement. Our job is to assist you and your spouse or partner by establishing a binding financial agreement that covers all eventualities and avoids expensive repercussions further down the track. Your prenuptial agreement or financial agreement can be made any time you consider a relationship is entering into a long-term, serious phase. In a world where money equals security, people want to know how their financial assets will be distributed if their relationship turns sour, and a prenup will provide clarity and make divorce settlements less complicated and expensive. Since 2009, de facto couples have also been able to enter into Financial Agreements under the Family Law Act. Relationship status is established by a number of factors including the length of the relationship, your living arrangements, whether you have children and whether you have combined finances. Prenuptial agreements aren’t for everyone, and very few people enter into marriage expecting a messy divorce at the end. However, the opportunity to safeguard the future for yourself and your loved ones is worth considering, and with Taylor & Scott guidance your chances of reaching a satisfactory agreement are greatly improved. Taylor & Scott Lawyers have been assisting the people of Sydney and New South Wales since 1905, when the firm was first established. Our strong reputation and legal weight is balanced by a caring approach, with each dedicated Taylor & Scott representative specialising in their respective field, including some of Australia’s finest family law solicitors. Our success has been built on the satisfaction of our clients, and we invite you to experience the Taylor & Scott difference.